I am delighted to welcome MindTickle to the Canaan family. Over the years, Canaan has backed a number of companies disrupting large existing markets. Lending Club completely changed the sources of capital in the lending ecosystem and Instacart redefined the customer experience in groceries. MindTickle is pioneering a paradigm shift in the $26B corporate software sales market. Today, Sales Readiness is the single most important metric that every public company CEO is paying attention to because they know it is the best predictor of future performance. MindTickle’s Sales Readiness Index (SRI) helps measure just that – how prepared a company’s sales force is to effectively sell. This type of index is critical because readiness depends on multiple factors, some of which cannot be easily quantified. For example, it is very hard to know how well sales reps can articulate a product positioning change. Critically, once a company knows where they stand, they use the MindTickle platform to improve their index. Public companies including Cloudera, Nutanix and HP Enterprise already take advantage of MindTickle’s platform to assess and improve their sales readiness. Sales Enablement is a fast-emerging category and MindTickle’s customer momentum has placed them at the forefront. What is particularly exciting is that their platform can extend to other functions beyond sales. Any customer, client, or partner-facing function can take advantage of the platform. We have seen these use cases pop up organically among customers and some very large Fortune 500 customers have requested to roll this out to all employees in the company. That kind of momentum is exciting – and nerve wracking! – for an early stage company like MindTickle. In leading their Series B, we are excited to stand with MindTickle as they take on their upcoming innings of growth. Finally, MindTickle has an incredibly unlikely story of success within sales software. 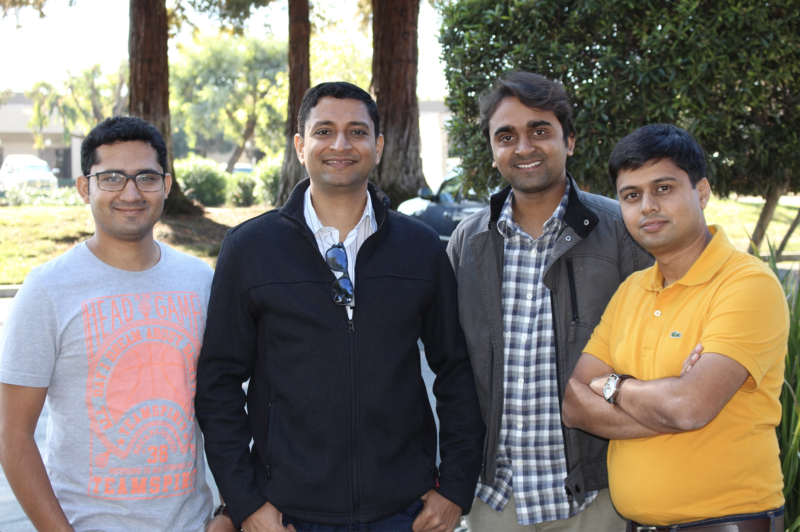 The company was started by four friends in India. Their combined years of experience in selling software? Zero. The reason they have succeeded is probably because this level of disruption and re-imagination could only have come via fresh perspectives from the outside. That’s a great fit for Canaan because we love rebels, outsiders and immigrants who want to change the world in a meaningful way.